Alex Karras, the former football star turned actor is no more. His death has come as a shock. 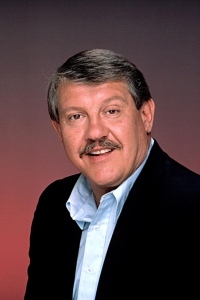 Alex Karras died on Wednesday due to kidney failure, he was 77. “After a heroic fight with kidney disease, heart disease, dementia and for the last two years, stomach cancer,” Karras succumbed to his illnesses, a family spokesman said. Karras’ declining health was revealed on Monday, when it was announced he was in hospice care and given just days to live. The NFL star started his professional career in 1958, going on to play with the Detroit Lions on and off until 1970. His on-the-field accomplishments include playing in four Pro Bowls, and making the 1960s All-Decade NFL team. Suffering from dementia in recent years, Karras was among a number of former athletes to sue the NFL earlier this year over head injuries suffered during games. Karras is survived by his wife, actress Susan Clark (who also starred on “Webster”), and their children. Who Won Emmy Awards 2011? Robert Pattinson Cheating on Kristen Stewart? Next: Miley Cyrus Quit Bonnie & Clyde?